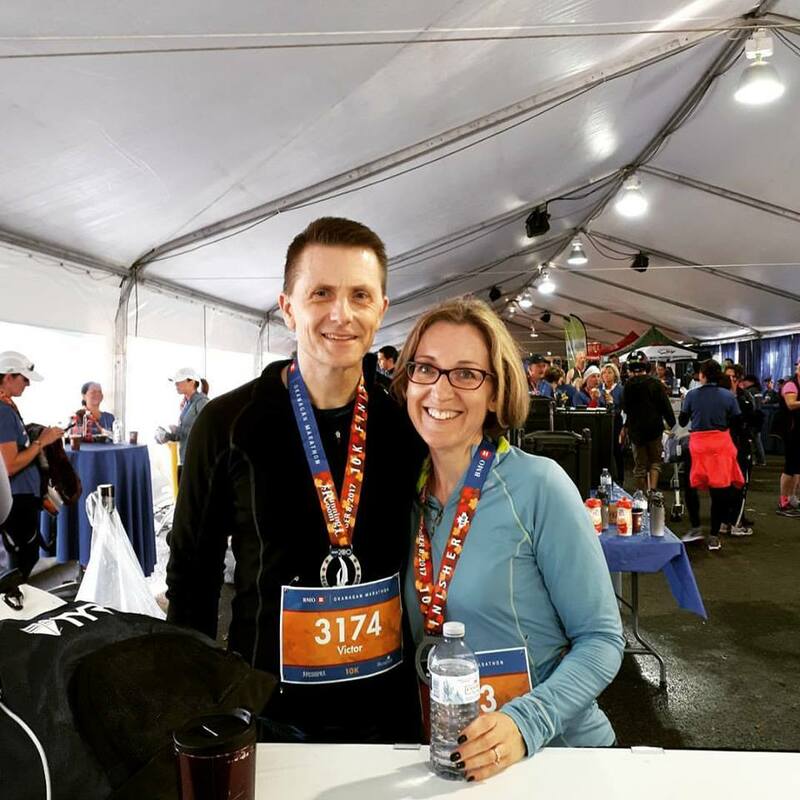 Vic and I ran the Okanagan Marathon, 10km race this morning in Kelowna. This is a great race, and one of the best 10km because it is a nice, flat route. The marathon race is a Boston Marathon qualifier. I was really pleased with my results, and attribute the power in my legs due to working consistently at CrossFit for the past year and a half. Vic's time was 49:25 and I had a PB of 58:20. I'm a few years older than when I did this in 2013 when I came in at 58:45. My legs are stronger now and less fatigued. I felt really good the whole way and while I was tired at the end, I wasn't feeling completely wiped out. Some stats: 216/708 runners. 88/444 for my gender, 20/108 in my age category. We then had a nice Thanksgiving day at my mom and dad's.